All business owners understand the importance of cash flow. If your company ships products, one issue that affects your cash flow is waiting for your brokers or shippers to pay your freight bills. It’s typical for a customer to wait 30 to 60 days before paying a freight bill, severely impacting your cash flow. Freight factoring is a creative solution to this common problem. The following are some basic points about freight bill factoring. Freight bill factoring is a form of invoice factoring. This is a process whereby a financial services company purchases your accounts receivable so you don’t have to wait for customers to pay their invoices. Invoice factoring works for many types of invoices, including freight bills. A freight bill is often a significant amount of money, so factoring these bills has a major positive impact on your cash flow. 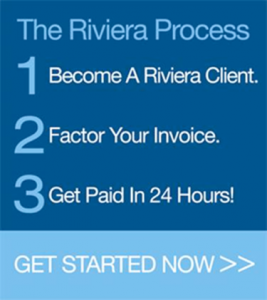 One of the most trusted and experienced invoice factoring companies that provide this service is Riviera Finance. 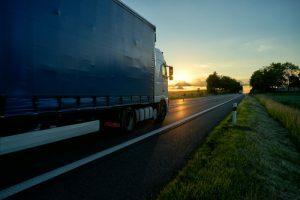 Freight factoring is a convenient process that lets you get paid for your freight bills quickly and eliminates the stress and delays associated with waiting for payment. By selling your freight invoices to Riviera, you can begin enjoying the benefits of improved cash flow right away. Start factoring your freight bills today with Riviera Finance. Here are some of the ways that working with Riviera Finance benefits your business. Get cash in 24 hours. With Riviera, you get paid for your freight bills almost immediately. You can use this money to pay expenses, hire additional staff, invest in marketing or inventory or in any manner that works best for your business. Avoid the hassle and expense of collections. With invoice factoring, you no longer have to worry about collections and can redirect your resources into more productive areas. Get better terms from suppliers. Improving cash flow lets you set up more favorable terms with suppliers and get cash discounts. Improve your business credit. Unlike traditional financing, invoice factoring doesn’t mean taking on more debt. Additionally, with extra cash on hand, you can pay off bad debt and strengthen your credit. Work with an established leader in the field of invoice factoring. Riviera has more than 25 locations in the U.S. and Canada and has been in business for nearly 50 years. We also offer Fuel Card Services for our customers. Take advantage of approximately 1,800 discount locations offering Retail Minus or Cost Plus fuel discounts.